Landscaping IS my bag baby! Martin Cook definitely has a great track record at Chelsea flower Show, including a Silver-Gilt for his Literary Garden in 2011 and a Gold in 2013 for his Mindfulness Garden. But during the Chelsea Flower Show both of us were questioned a few times on what other landscape design projects we’ve done. 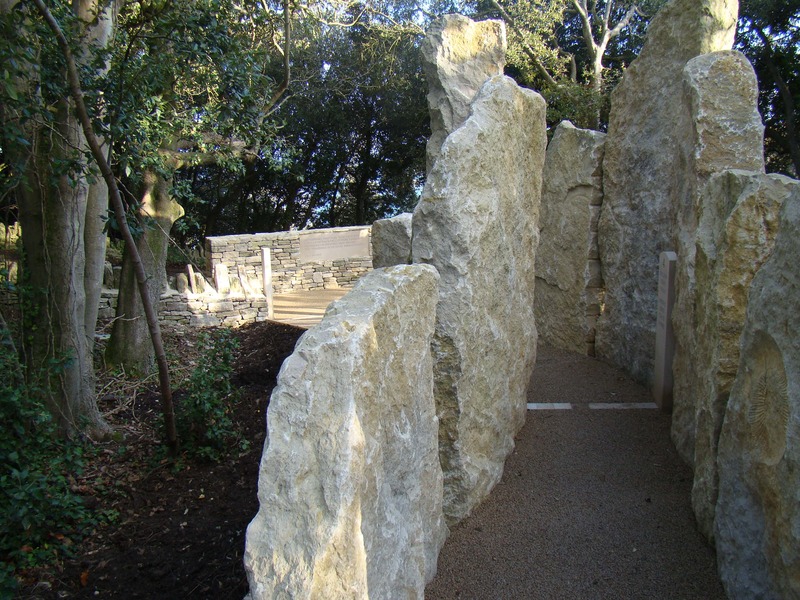 As sculptors I suppose we never really think of ourselves as garden designers, but in fact the placement of our work and the sensitive design of the landscaping surrounding it, has been a major part of what we do for many years. I’ll focus on just two examples from my own portfolio. 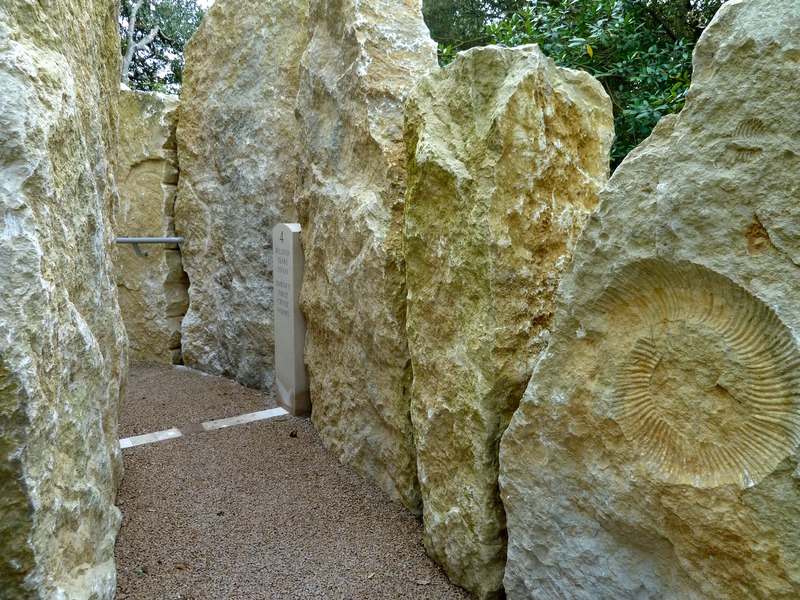 The cloister garth at Christ Church in Oxford involved extensive re-landscaping. I introduced both a lead fountain and planter containing an ancient Olive tree, set within paths based on the footprint of the older demolished Wolsey tower, and planted with lavender. At Durlston Head just outside Swanage in Dorset I devised what I called the ‘stone squeeze’, a series of large Purbeck stone boulders between which winds a pathway of poems and inscriptions. 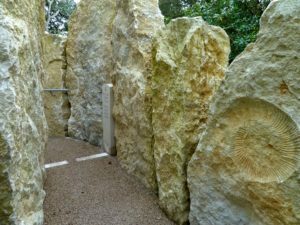 Working in collaboration with architects Long and Kentish the Timeline takes the visitor through Earth’s history from the car park to the castle at the gateway to the Jurassic Coast.